April 2016 | Matcor, Inc.
MMO anode technology has taken over the cathodic protection industry and MATCOR has been on the forefront for the last 20 years. Ted Huck, our VP of International Sales was interviewed at the recent NACE Corrosion Conference. In this video he discusses MMO anode technology for cathodic protection systems and the importance of reliable anode to cable connections. MMO anodes, or mixed metal oxide anodes are the latest technology in the corrosion industry. Mixed metal oxide anodes are lightweight and durable with a very low consumption rate. MMO anodes are a mix of metal oxide electrocatalysts. In the presence of a DC voltage source they cause an electrical reaction that generates cathodic protection current. Unlike conventional impressed current anodes that physically consume as part of the cathodic protection reaction (at rates measured in kg/amp-year), MMO anodes are dimensionally stable and do not consume. Instead, they have a long and predictable catalytic life. MMO anodes consist of a thin coating of the MMO catalyst over an inert lightweight titanium substrate and are available in a wide range of shapes and configurations. The most critical component to any cathodic protection anode system is the connection of the anode to the cable that runs back to the power supply. Because the cable is part of the anode system, if it has any nicks or defects or is not water tight, that cable can become part of the anode and will very quickly consume. When that happens, the anode fails. So, with cathodic protection systems it is imperative to have the highest quality connections. Typically, when a cathodic protection anode system fails, it is not the anode that fails, it is the anode connection that fails. MATCOR has developed a proprietary technology for connecting wire anodes to cable, called Kynex®. Wire anodes are the heart of a lot of our products and this proprietary anode technology is a huge leap forward in the reliability of these connections. MATCOR is one of the world’s leading cathodic protection companies. We design, manufacture, install and service cathodic protection systems for clients worldwide. 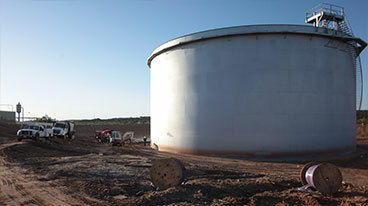 MATCOR provides services to the pipeline, midstream and oil & gas industries, protecting assets such as pipelines, storage tanks, and compressor stations. 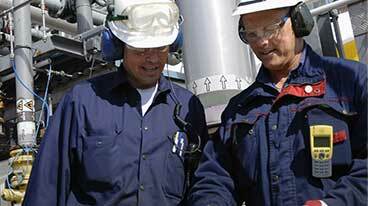 We also do a lot of work in the power industries, petrochemical, and chemical industries. Anywhere where you have buried steel structures, we are there to stop corrosion. We encourage you to contact MATCOR through our website where our corrosion specialists and engineers can provide a solution tailored to your needs. MATCOR senior engineer and pipeline practice lead Jeffrey L. Didas has been elected to the position of vice president elect for NACE International (NACE), the Worldwide Corrosion Authority. As vice president elect for NACE, in addition to his responsibilities as an incoming board member, Didas will serve as ex-officio member of the NACE finance and policy committees and the NACE Foundation board of directors. This position is a five-year commitment where Didas will serve one year each as vice president elect, vice president, president and past president followed by one year on the nominating committee. Didas, an industry expert sought worldwide and active NACE member since 1975, has 42 years of diverse corrosion experience working for pipeline and energy company owner-operators and most recently for MATCOR. Prior to his newly elected position as NACE vice president elect, Didas held a variety of national NACE positions including treasurer of NACE International, the NACE Foundation and the NACE Institute, and committee chair for several technical exchange groups (TEGs), including the Corrosion Control Coordinating Committee (TEG 022X), Pipeline Crossings: Steel-Cased, Thrust-Bored, and HDD TEG 208X) and Steel-Cased Pipelines (TG 012). He also presently serves NACE as technology coordinator for technology management group TMG C1 – Corrosion Prevention and Control for Concrete, Land Transportation and Coating Technology and vice chair of the NACE Institute Policy & Practices Committee. Didas received the NACE Brannon Award in 2014 and the NACE Distinguished Service Award in 2001 for his many contributions to the organization. He also received the Appalachian Underground Corrosion Short Course (AUCSC) Colonel Cox award in 2010. Didas holds the highest level of NACE certification as a Corrosion Specialist, and a number of other NACE certifications including Cathodic Protection Specialist, Coatings Specialist, Chemical Treatment Specialist, Senior Corrosion Technologist, Corrosion Technologist, Corrosion Technician and Level 3 Certified Corrosion Inspector. 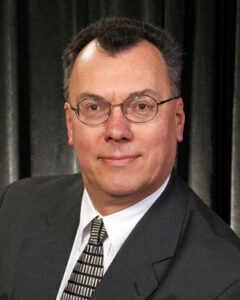 In addition he is a SSPC (Society for Protective Coatings) certified Protective Coatings Specialist. Didas graduated from Thomas A. Edison State University in Trenton, NJ, with a BSET in Electrical Engineering. He acquired his ASEE in Electronics Technology from Springfield Technical Community College, Springfield MA. NACE International, The Worldwide Corrosion Authority, serves nearly 36,000+ members in 130 countries and is recognized globally as the premier authority for corrosion control solutions. The organization offers technical training and certification programs, conferences, industry standards, reports, publications, technical journals, government relations activities and more. NACE International is headquartered in Houston, Texas, with offices in San Diego, California; Kuala Lumpur, Malaysia; Shanghai, China, Sao Paulo, Brazil and Al-Khobar, Saudi Arabia. Visit www.nace.org for more information.